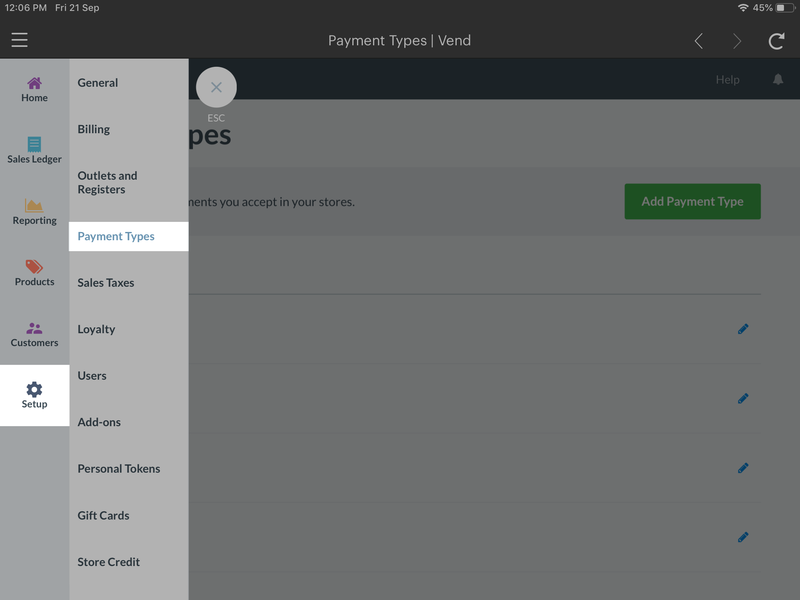 Taking payments with SumUp and Vend on iPad – How can we help? 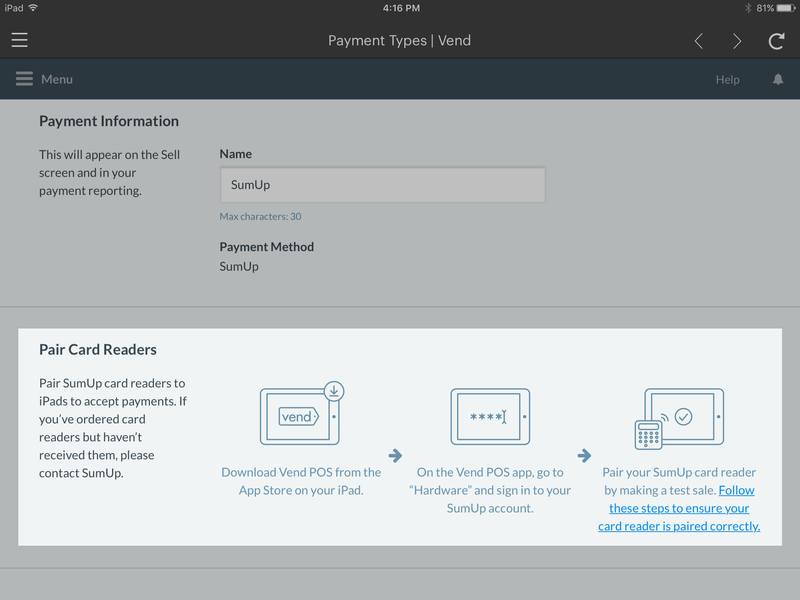 You can now take payments with SumUp and Vend on iPad (Europe only). For more information on where in Europe SumUp is available, please get in touch with us here. 1. Tap the menu icon in the top left to open the side menu bar and choose Dashboard. 2. Once here, click Menu. 3. Head to Setup and choose Payment Types. 4. You should now be on the Payments page. From here, click Add Payment Type and choose SumUp. 5. On the next page you will be able to edit the name of your payment type. 6. Scroll to the Pair Card Readers section and follow the onscreen configuration steps. 7. Once you are done, click Save Payment Type. 1. 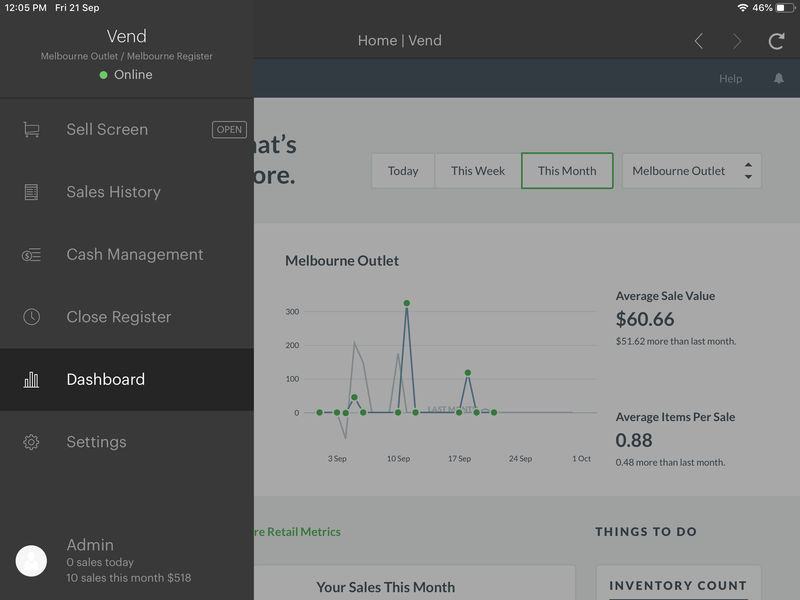 Click the top menu button in Vend and choose Settings From the sidebar. 2. Select Hardware and tap Login to SumUp. 3. Enter the email address and password for your SumUp account. SumUp will run through the connection process the first time you make a sale using SumUp as a payment type. Vend will search for SumUp using Bluetooth and ask if the digits on the back of your payment terminal match the digits shown on the screen. Next, you will receive a pairing request. 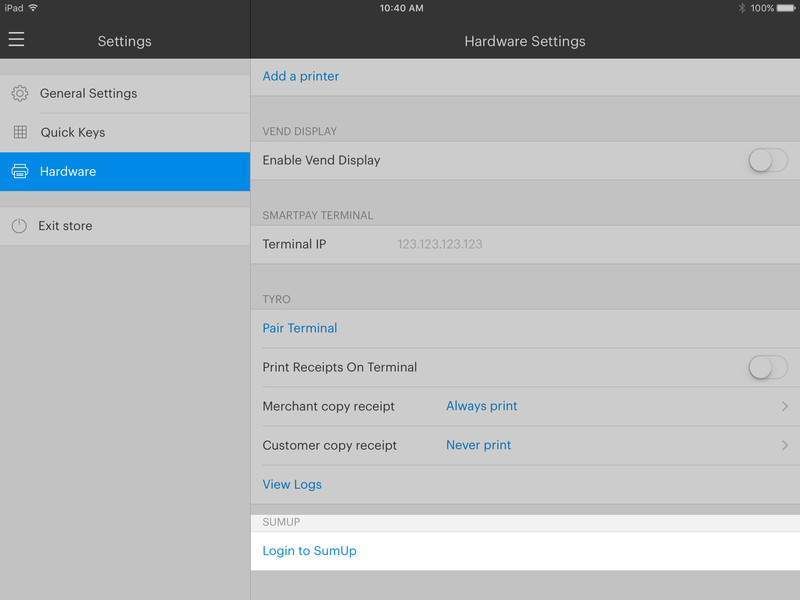 Click pair on your iPad and verify that the code shown on your iPad matches the code on the SumUp terminal screen. Confirm the pairing process by clicking the green tick on your SumUp payment terminal. Great! 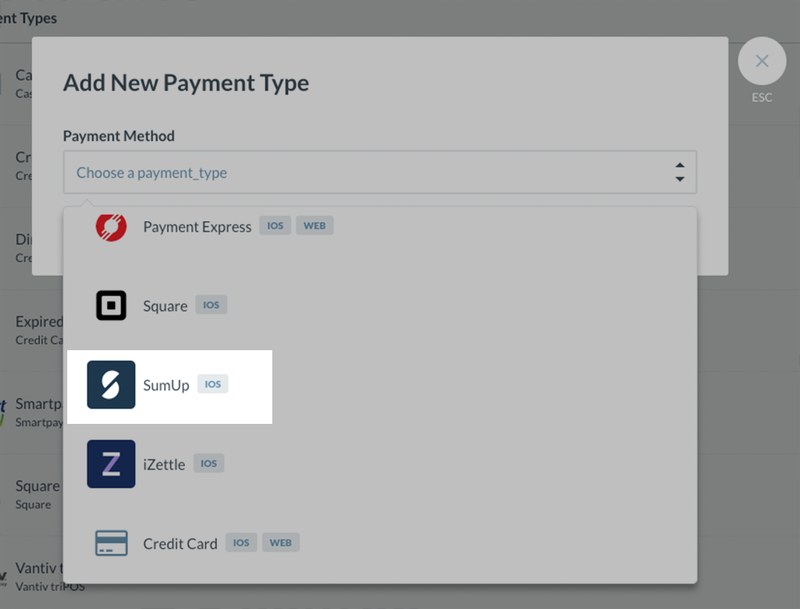 Now you're all ready to start taking sales using your SumUp payments terminal. When you choose SumUp on the pay screen in Vend, the payment will be carried over to your SumUp terminal for customer approval. You will then receive a screen on your iPad, prompting the customer to complete the transaction using the SumUp payment terminal.